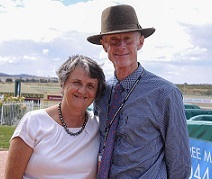 Winner in 2017, trifecta in 2018 – now’s the time to find out who trainer Danny Williams is aiming at this year’s $150,000 Goulburn Country Championships Qualifier. With a couple of his leading hopes returning at Randwick on Saturday we’ve asked Williams to outline those he sees as serious contenders, those he’s giving their chance to and any wildcards or horses of the future he may have. Despite dominating the Qualifiers - he had nine runners in the 2018 SERA heat - Williams’ best result in the $500,000 Final is last year’s second placing with Don’t Give A Damn. While he says he doesn’t have a candidate of that horse’s quality he said the top five seeds, in no particular order, are Acquittal, Chewbacca, Coup de Main, Highway Sixtysix and Pierino and all have their best ahead of them. “It’s a very competitive race and I think I have a pretty strong team,’’ he said. Acquittal, ninth in last year’s Country Championships Final at his seventh race start, and Highway Sixtysix are engaged in the January Handicap (1000m) at Randwick on Saturday. The duo are up and about early for differing reasons, Acquittal is coming off a long break since the 2018 Final while Highway Sixtysix battled feet issues during the spring and Williams aborted her Kosciuszko bid. “I’ve always spruiked them, if they put it together they are potential black type horses,’’ he said. “If they were to reach the level they’ve been showing at home they are capable of going on with it. Coup de Main was runner-up to Noble Boy, a leading Country Championships contender who will also be in the Goulburn heat, first-up on December 1 and Chewbacca is also being freshened up since his second in a Highway a week later. Pierino hasn’t raced since last July, third in a 1500m Highway at Rosehill, is the winner of two from eight and is on the comeback trail from injury. “They are all capable of matching it in city class this preparation,’’ Williams said. 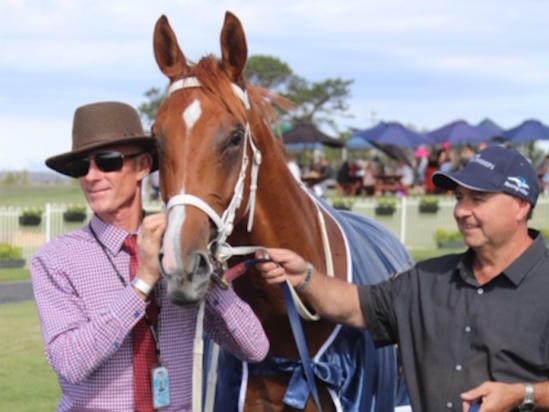 Volpe, My Blue Jeans and new recruit Tootz, who resumes for Williams at Kembla Grange on Saturday, are the other trio the trainer will set for the Championships Qualifier. Canberra horses are included once more in this year’s Goulburn heat which will be run on Saturday March 2, a slight change of date due to the Central Districts Qualifier being pushed back a week to March 3. The two horses Williams earmarks as horses to watch, probably for the 2020 series, are both close relations to Don’t Give A Damn and are unraced. She Gives A Damn is a three-year-old full sister to the Championships runner-up while Classic Catch, also three, is a three-quarter brother in blood also to Don’t Give A Damn. He’s by Bon Hoffa out of Umbrella Field, whose dam is a half-sister to DGAD’s mother Cherry Tree. “I’ll be anxious to see what they can do first-up,’’ he said. As for Kopi Luwak, whose career is in limbo after injury forced him out of the 2018 Final, following his Goulburn heat win, he won’t be part of the Williams team. The gelding was secured to run in the $1.3m Kosciuszko in ther spring but again succumbed to injury just over a week out from the new spring feature. “He was always carrying an issue of some sort. We never saw the full capacity the horse is capable of showing,’’ Williams said. The 2019 Country Championships Qualifiers commence with the Western Region at Dubbo on February 10, with the $500,000 Final at Royal Randwick on April 6.